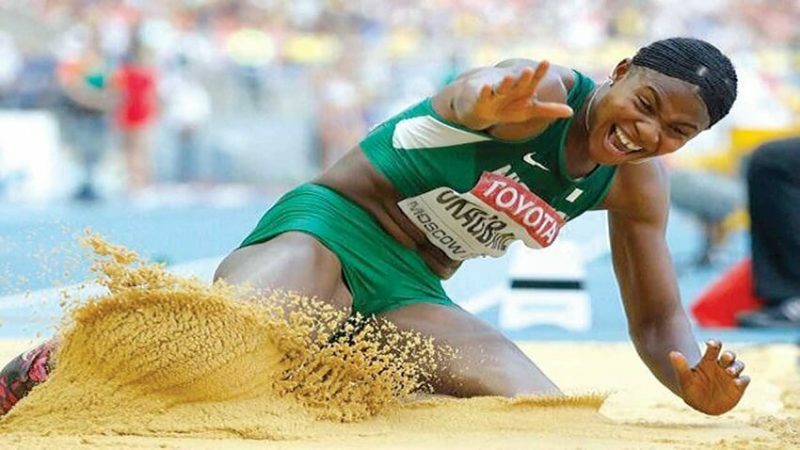 Nigeria’s hope of winning a medal in the ongoing IAAF athletics event in London was boosted as her representative in long jump contest, Blessing Okagbare-Ighoteguonor leaped into the finals on Wednesday. The silver medalist in the event from the 14th edition of the championships in Moscow, Russia four years ago ensured qualification for tomorrow evening’s final with her 6.51m second round leap after opening with 6.21m in the first round. The mark ensured she finished eighth in the overall classification. The final of the event holds on Friday, where Okagbare will, however, still battle familiar foes for a place in the podium as three-time world champion Reese, reigning world and Olympic champion, Tatiana Bartoleta of the USA, Darya Klishna of Russia, competing as a neutral, Lorraine Ugen of Britain and Ivana Spanovic of Serbia all came through the qualification test for places in the final. Okagbare won silver in the event in Moscow in 2013. Meanwhile, the country’s second athlete in the event, Ese Brume, crashed out of the event after finishing 17th overall.